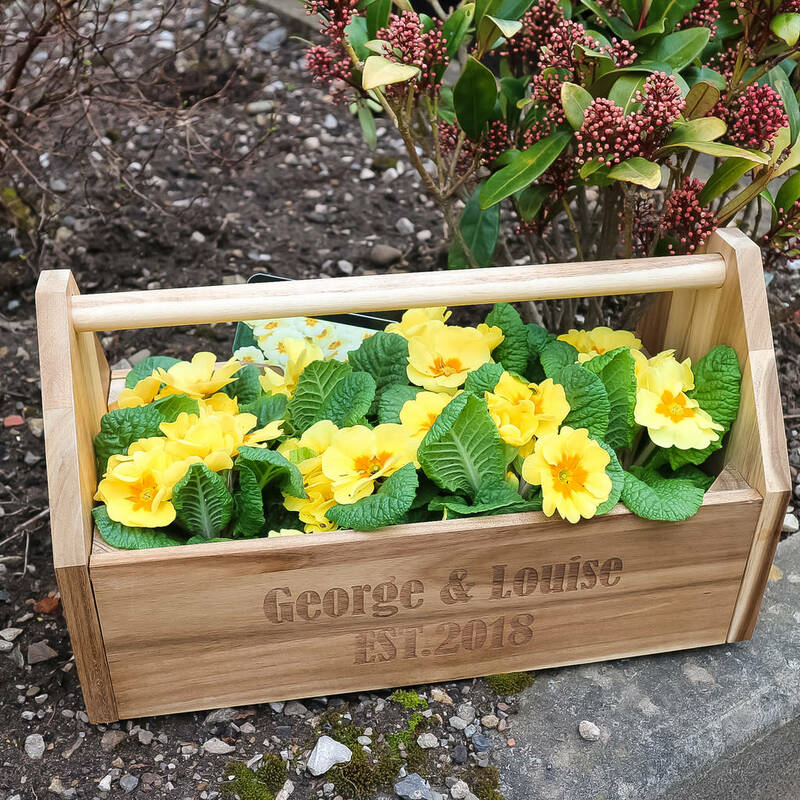 Personalised garden allotement storage flower box. This considerate gift is practical and thoughtful at the same time. 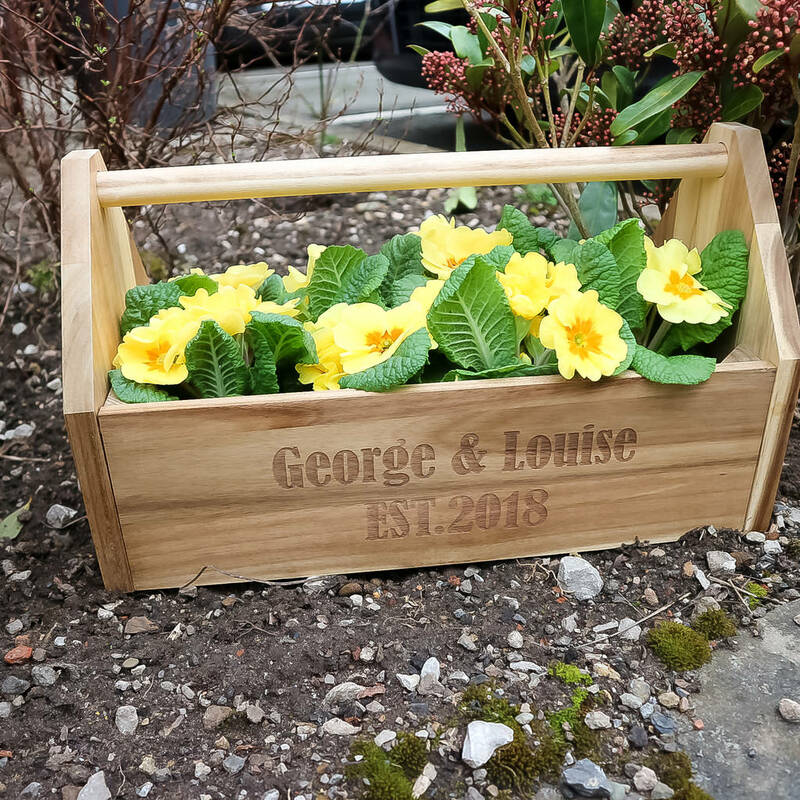 It can be used for a number of things to storing your garden tools, flower box or even a toy box for your little one! 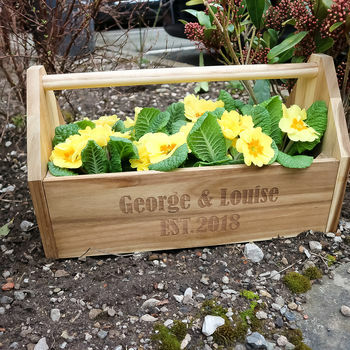 All text is fixed apart from where it says the name George & Louise. Name(s) can be up to 24 characters long. Est word is fixed but date can be changed. To make sure we are giving our customers the best price, we ship this item flat packed. It comes with all the parts you need to assemble it with instructions and takes no longer than 5 minutes! you just need a a screw driver. If you really would like this delivered made up then please message us and we will try arrange a delivery with the cheapest price available. This product is dispatched to you by Jacob Noah.